Fruity, wiggly and fun to eat, there’s no denying Jell-O’s prowess as a refreshing dessert or snack. But the boxed, artificially colored, store-bought brand isn’t the only way to get your jiggly gelatin fix. Here, 11 delicious gelatins, gels and gelées to make at home from scratch. 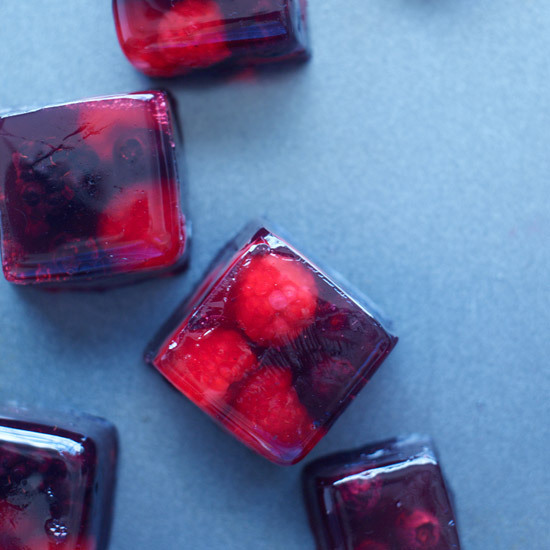 This silky, sophisticated fruit gelatin is an ideal dessert for a late-summer day. This jellied espresso just requires brewing coffee and melting powdered gelatin in it. Served with whipped cream, it’s possibly the most delicious macchiato you’ll ever taste. Ultra-refreshing watermelon gelatin is delicious served with a palate of spices including vanilla seeds, mint, basil and saffron. This grown-up gelatin is made with off-dry Riesling. Soft and slightly spicy, this tomato jelly is a fun and unique summer starter. These brightly colored gelatins are flavored with sweet dessert wine like a late-harvest Riesling. Instead of combining vodka with flavored Jell-O mix, chef Michael Symon concocts a refreshing mojito and stirs unflavored gelatin into the mint-and-lime-spiced rum drink to mold a fun and sophisticated version of the lowbrow shot. This barely set, sparkling homemade jelly will be a revelation to you. These gelées don't depend on butter, cream or any other kind of fat for flavor. Instead, they get a sweet, tangy taste from temple oranges, which practically burst with juice when their thin skin is torn open. Perfect for a summer dessert, this beautiful gelatin dessert is a sophisticated combination of fresh berries and a soft jelly flavored with the juice of the berries.